Descriptions Priston Template is a Wp To blogger Converted Colorful Blogger template. 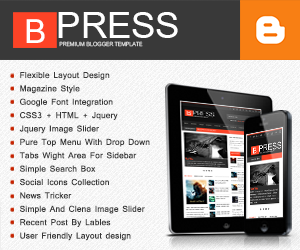 Its 3 Column Blogger Template With 1 Right Sidebar and 3 Column Footer Area. Dual Top menu Links Collection. Social Icons Collection Placed Right side of header, This theme Have Full Page Image Slider, Tabs Widgets, Search Box And Other Default Blogger Widgets. Priston Blogger Template Design for Graphic Design and Any Other Design Related Blogger Blog's.